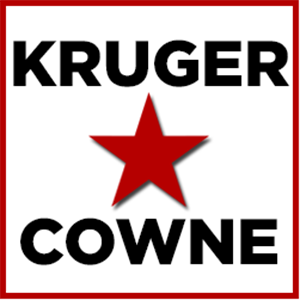 Kruger Cowne Client, Professor Noreena Hertz, a globally-renowned Economist, academic and Best-selling author, has just made it onto the Amazon Top 20 Bestseller List, 2014 and reached the number 3 spot on the Business Bestseller List! It is with that that we, at Kruger Cowne, would like to congratulate Noreena Hertz on her most recent achievement and wish her every success in the days and years to come. If you would like to know more about Noreena and what she is known for, please click here. If you’d like to find out more about Eyes Wide Open and how to get it, please click here. In the modern world we’re swamped with information from every direction. Who should we trust? Who should we believe? How can we make sure we make the right choices This is the book that will help you through that data deluge and show you how to make better and smarter decisions. Internationally renowned thinker, forecaster, and bestselling author Noreena Hertz reveals the extent to which life’s big decisions are made on the basis of flawed information, weak assumptions, corrupted data, insufficient scrutiny of others, and a lack of self-knowledge. Taking us on a journey that reveals the extent to which we cede our intellectual power at our peril, Hertz shows how errors in decision-making lead young people to under-save for retirement, doctors to miss tumors, CEOs to make catastrophic investments, governments to adopt the wrong economic policies, and parents to irreversibly traumatize their children.